Brendon Ford and I have just returned from a miniature junket in Nelson to present the mechanics behind the award-winning intranet we worked on for the Ministry of Transport back in 06/07. During my presentation I briefly tried to compare quantum theory to CMS-metadata-driven content – which for me has its similarities in that content can live in multiple locations and formats at the same time. Despite the blank stares from the audience I believe this might have wings and is something I’d like to explore further. My impression is that they’re doing good work and are much needed to ensure our people stay well informed by local government. I discovered that there’s over 85 local govt websites in NZ, and most are run by individuals on shoe-string budgets. It hit home to me the importance of the web as a communication channel following a presentation about the Northland Regional Council. They provided 24hr coverage during a recent disaster, floods which cut off most of the region for days. Their website included information on road closures, safety and emergency procedures. The website also acted as an information hub for friends and family outside the region and for the media to keep up to date with the news. Most curious to me was the Tauranga City Council who switched from a traditional Council-type website to a simple search-based approach in November 2007. Since then usage has more than doubled. I suspect I know why. People can’t find stuff and are searching more than ever! In a quick usability test I searched for "dog permit". I got one result on "Chemical Weed Control". However, a search for "dog registration" returns a nice info sheet and 66 results. Great! But they still have some sorting out to do in matching "citizen speak" with "council speak". Personally, I regard search as a last resort. Getting an accurate, ‘on target’ search result usually involves knowing how to massage the search engine. Just because you get 49,823 results in Google doesn’t mean you found what you were looking for. You most likely found something close enough, but how do you know it’s the special content you really need? Browsing links (done correctly) is like hand-holding – it leads people to the right place – the special, well crafted and accurate content you really want to communicate to people. Apparently a noticeable number of internet users in NZ (well, in Rotorua anyway) are switching back from broadband to dial-up. Because they like to download games, movies and music. On dialup they get unlimited downloads for a super low price. With broadband they get a download limit and much larger access fees. Here’s my section of the presentation on the award-winning intranet for the Ministry of Transport. This has an emphasis on the metadata/tagging approach to the Information Architecture. 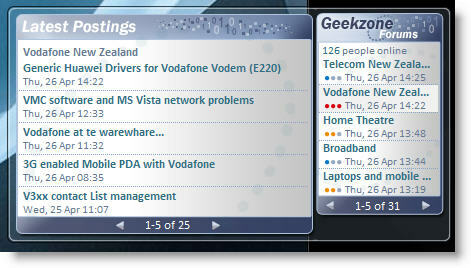 Presented to the New Zealand Association of Local Government Information Management on 6th May 2008. One thing (well, one of the many) I am curious about with regard to your design is the logical architecture. Does all of the information sit under one Site Collection or does it resemble the one given by Microsoft (see Investing in Logical Architectural Design Samples, application Pools 4 and 5). Our design was created on Beta 1 of MOSS and no documentation existed at that time. So I was essentially flying blind and did not have a good understanding the ‘site collection’ model. I recall I just assumed it would be one document collection and that the metadata would pull the relevant content as needed. I know this created challenges for the developers. The filtered view of the content shown in the "Tag based navigation" section is a standard document library view web-part, with filters applied. This does not aggregate content from other libraries in the site, but draws data from a single document library within the "Tools and Resources" site. Other sites have similar filtered views of documents, and searching is used to find data across all the sites within the intranet. 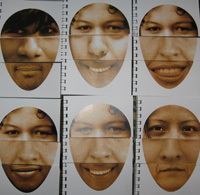 See also his article ‘How We Did It – Tag Driven Information Architecture using MOSS 2007 for the New Zealand Ministry of Transport’ ( http://tinyurl.com/5wv3y8 ). Now I understand MOSS better I would use a more logical approach with document libraries by ‘Content Type’ (e.g. News). But I still insist on metadata acting as the browse and search enabler. Previous post Search Engine Not Starting!